Help elephants feel safe again. Thanks to the generosity of concerned individuals like you and our combined efforts with our partners, elephant numbers in Samburu, northern Kenya, are recovering. Elephants don't breed when they're too stressed. Sometimes it can take as long as nine or ten years for an elephant survivor to give birth again, as our researchers recently found out. Stay tuned for more of this remarkable story on Giving Tuesday. We're helping rebuild the shattered lives of Samburu's elephant herds but we need your help to do this elsewhere. Please mark your calendars, and be ready to visit our donate page to double the impact of your gift and make this world a better place for elephants. It's also our 25th Anniversary this year! 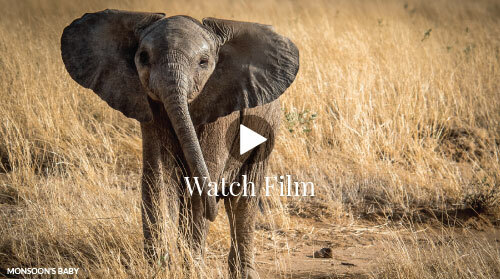 To celebrate we've created a new short film about our work and the world of elephants which we wanted you to be the first to see. Please feel free to share this new film with your friends and family far and wide and help us introduce them to the wonder of elephants! With deep gratitude from Kenya for all you are doing for our natural world.